Google continues to work on the Linux app support implementation for its Linux-based Chrome OS operating system for Chromebooks by adding initial support for installing Debian packages via the Files app. Linux app support in Chrome OS is here, but it's currently in beta testing as Google wants to make it ready for the masses in an upcoming stable Chrome OS release. Meanwhile, Google's Chrome OS team details in a recent Chromium Gerrit commit initial support for installing Linux packages in the .deb file format used by Debian-based operating systems directly from the Files app. The first development snapshot of Phoronix Test Suite 8.2 is now available as what will be the next quarterly feature update to our open-source Linux / BSD / macOS / Windows automated benchmarking software and framework. For those planning to enjoy their favorite Direct3D 11 games under Wine this weekend and utilizing the DXVK D3D11-over-Vulkan layer for greater performance, DXVK 0.63 is now available. First up with DXVK 0.63 is compatibility with the newly-released NVIDIA 396.45 stable driver release due to Vulkan driver changes. Thriving in the harsh northern lands in Northgard isn’t particularly easy and the new Snake Clan faction adds a few twists to the enjoyable Viking experience. An update that released alongside the DLC also adds several bells and whistles to all players for free. 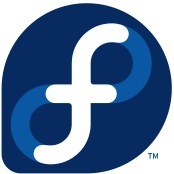 The feature list for Fedora 29 continues growing and the latest is about shipping GnuTLS with TLS 1.3 support enabled. TLS 1.3 was approved by the Internet Engineering Task Force earlier this year as the newest version of this protocol for making secure web connections that is key to HTTPS. TLS 1.3 offers various security and performance improvements over TLS 1.2 as well as lower-latency, better handling of long-running sessions, etc. Linux Mint is one of the most popular Linux-based desktop operating systems for a reason -- it’s really good. By leveraging the excellent Ubuntu for its base, and offering a top-notch user experience, success is pretty much a guarantee. While the distribution primarily focuses on two desktop environments -- Mate and Cinnamon -- the latter is really the star of the show. Cinnamon is great because it uses a classic WIMP interface that users love, while also feeling modern. With Cinnamon 3.8, the Linux Mint Team focused on improving the DE's performance, and today, the team shares that it is continuing that mission with the upcoming 4.0. In particular, the team is focusing on Vsync.